Home Page › CL Blogs › Why use toner? What exactly is a Toner and why should we use it? According t0 TheGloss.com there is some discrepancy between whether “toner” and “astringent” are interchangeable. Astringent was a term popular in the late 90’s and early 2000’s and generally meant products that were used to treat acne and absorb oil. Astringents were thought to be stronger than toners, and they were usually alcohol or chemical-based. Just to confuse us even more, there’s no definitive guide because some astringents are alcohol-free and the term seemed to fall by the wayside, in favor of toner. Complexion Repair Toner falls in the astringent group as it is formulated to dry up excess oil and control oil production with the aid of essential oil that help combat break out. Age Defying Toner and Moisture Repair Toner are both hydrating and nourishing. Do you produce excess oil, are you someone that is only oily in the T-zone or are you dehydrate and dry? Maybe you are neither or these choices. If you don’t know what your skin type is, there are a few ways to determine where your skin falls on the scale at home. I’ll share a few of those tips later. Does your face start to shine after 1 or 2 hours after cleansing, Do you have regular break outs of white heads and black heads? You more then likely fall into this category. Normal break out zones for acneic skin is the forehead, chin and nose. Your cheeks , chin and neck area are neither oily or overly dry, they seem pretty normal. But you have break out along your hair line and fore head and in the nose area, you are a combination oily. Ok so you have the perfect skin! You might get a single break out around your period or during a stressful week or month but you never suffer any issue. You don’t feel overly dry and before you feel shiny just a little its been 6 hours since cleansing. Your cheeks scream at you in the winter when the weather is dry, they start to burn a bit from the wind due to dehydration. Your chin or nose may get a little flaky asking for more moisturizer. Around your eyes your skin feels a little crepey. You are starting to show the signs of aging. You feel like you can’t use enough lotion or moisturizer on you skin. It cries for more hydration daily. Shine what’s that? You have flaky spots and your skin can become ashy in appearance. How do I know which one I am? If you are still uncertain after reading the descriptions above here are a few thinks to look at. Let’s start with Dry/Dehydrated skin first, take the back of your hand or the softest tissue around your eyes and pull up on the skin. How fast does it snap back? If it stays up you are severely dehydrated. If it pulls back slowly you are dehydrated. If it settles back into place at a medium to fast speed your are a little dry. Oily skin will become shiny after 1 to 2 hours after cleansing. 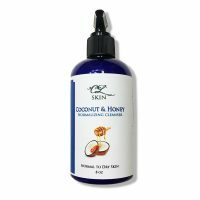 Combination/Oily becomes shiny in the t-zone about 3-4 hours after cleansing. Now that we have determined your skin type it’s time to choose a toner. It has anti-bacterial and anti-fungal qualities. Ingredients include witch hazel that has high concentrations of tannins making it an excellent astringent giving it the ability to remove excess oil from skin and shrink down pores. Glycerin for moisture balance (oil does not replace hydration), Clary Sage, Juniper Berry, Frankincense, Sandalwood and Lavender aid in healing and repairing skin suffering from excess oil or breakouts. It uses Rosewater and Aloe Vera with a blend of essential oil to effectively heal and hydrate the skin. Rosewater has anti-inflammatory properties that reduce excessive skin redness, repairing broken capillaries or skin blotchiness. 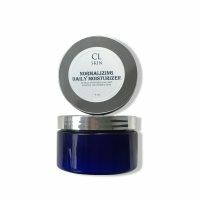 It’s hydrating properties help to soothe dry, irritated skin. Aloe Vera moisturizes the skin, prevent the skin from feeling dry after make up application. Aloe contains 2 hormones (Auxin and Gibberellin) that provide wound healing and anti-inflammatory properties. They stimulate growth of new cells allowing the skin to heal quickly and naturally. Chamomile, lavender and geranium soothe, heal and calm skin. It effectively brings skin back to proper PH while it heals and repairs lost moisture balance. The Rosewater in this formulation soothes and cools sensitive and irritated skin, balances oily skin, rejuvenates, softens and tones mature skin. 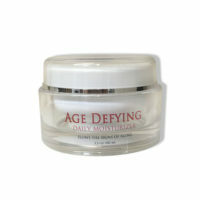 It is filled with anti-oxidants and various vitamins, which helps prevent the signs of aging. Glycerin is a natural humectant binding water to the skin. Carrot seed, geranium, rosemary and clary sage repair moisture balance and fight the signs of aging. You should apply your toner after you cleanse your face. We have opted to put our toners in spray bottle. It was originally thought that toners where used to pick up the slack for poor cleansing. Applied to a cotton ball or tissue it would wipe off the days grime missed from cleansing. Here at Calla Lily Cosmetics we suggest that a proper cleanse using Eye Make up Remover first to cleanse away mascara, concealer and shadow from the eye area then a good second cleanser with the appropriate cleanser leaves the skin under less stress and healthier conditions. When properly cleansed the toner can be absorbed by the skin more readily and effectively doing it’s job. Think of toners as and added ph balancing serum under your moisturizer.